A few years ago there was a project designed to boot generic laptops so they functioned as Chromebooks. It was a cool project, but unfortunately, the compatibility wasn't great, and it wasn't reliable to use on a daily basis. Although Chromebooks are old news these days, it still would be quite useful to transform aging laptop computers into Chromebooks. Because they have such low system requirements, older laptops running the ChromeOS can become quite useful again. Thanks to the folks at Neverwhere, you can get the CloudReady installer that installs Chromium onto a wide variety of laptops from various manufacturers. (A long list of tested models is available at http://go.neverware.com/certifiedmodels.) I actually have a Dell D420 that is getting very long in the tooth as a Linux machine, but as a Chromebook, it's still quite effective. 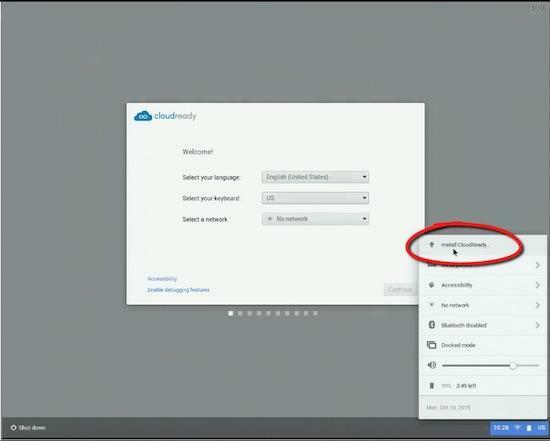 If you have an aging laptop, give CloudReady a try. It's free, and you even can boot off USB to check it out before installing.